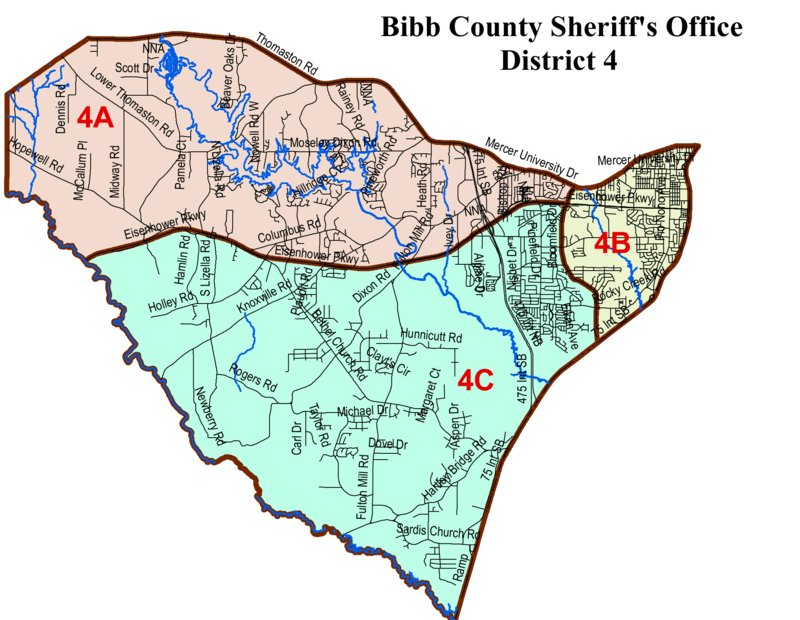 The Bibb County Sheriff’s Office was established in 1823. 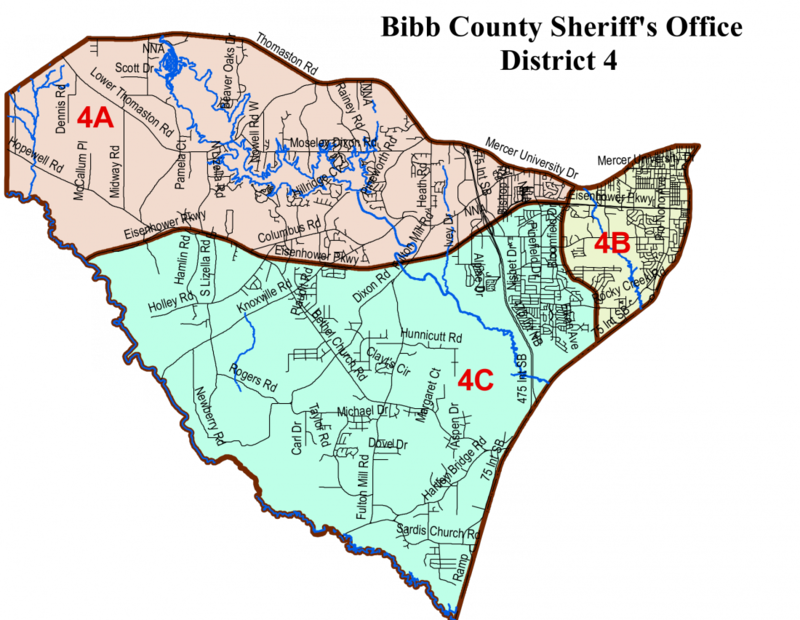 After consolidation with the Macon Police Department in 2014, the Bibb Sheriff’s Office now is broken up into 5 distinct districts. 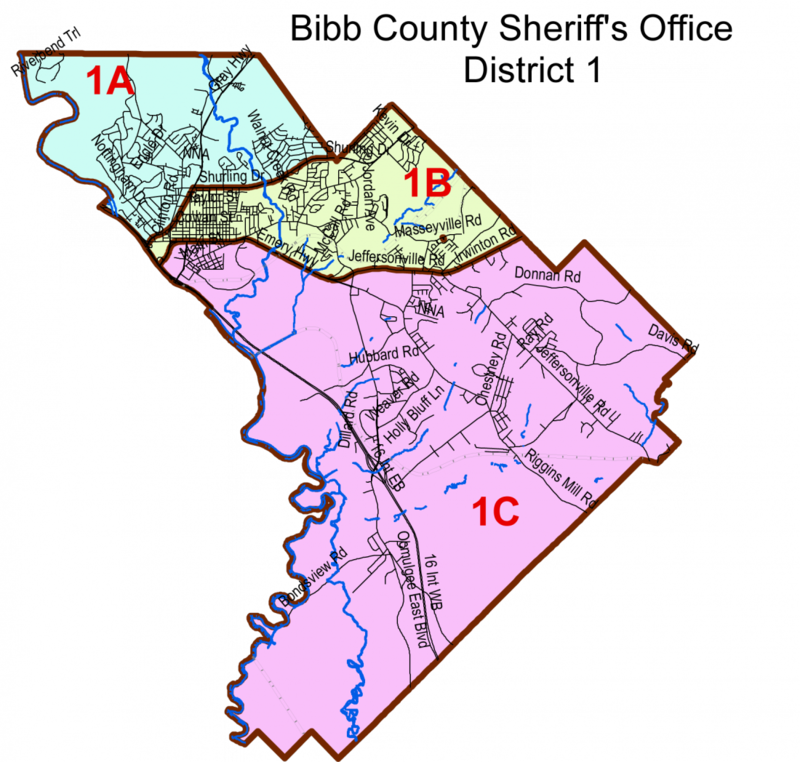 Click the images below to find out exactly which district you live in. 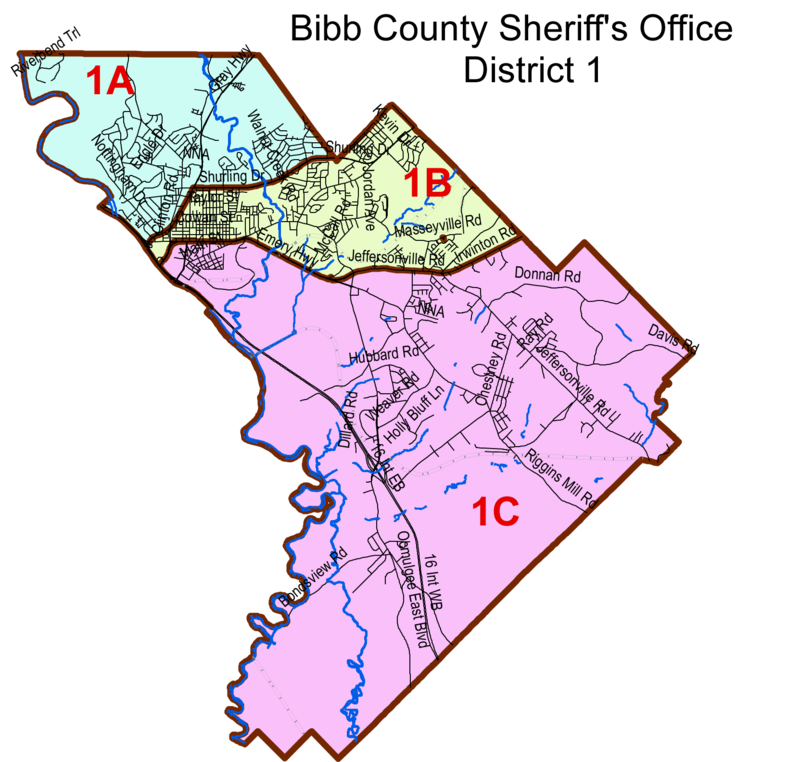 Click here to view a larger version of the District 1 map. 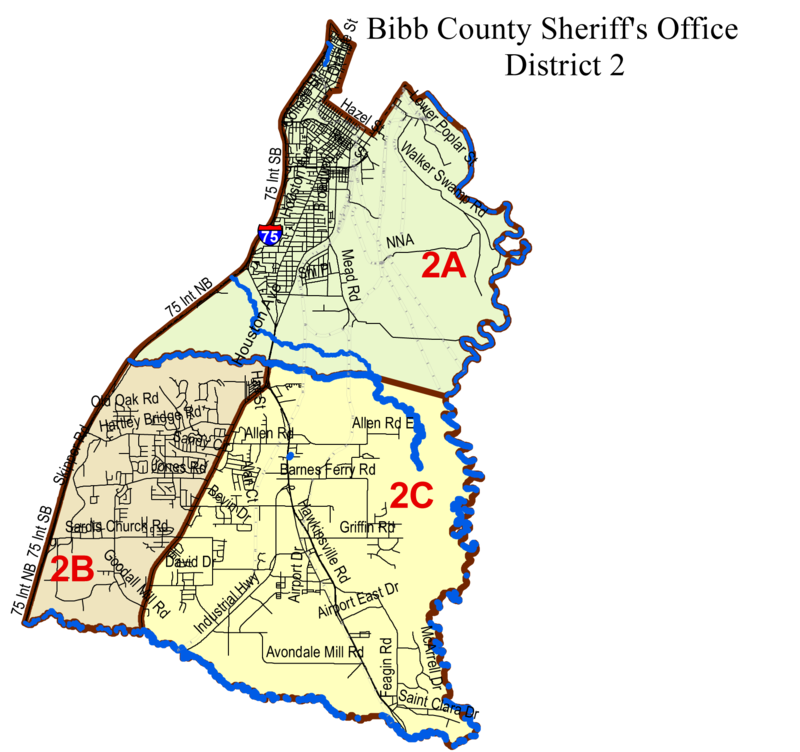 Click here to view a larger version of the District 2 map. 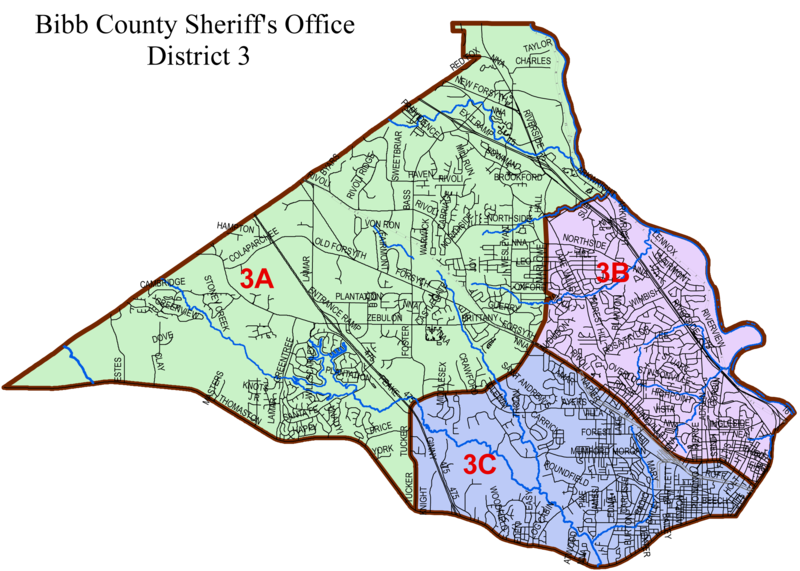 Click here to view a larger version of the District 3 map. 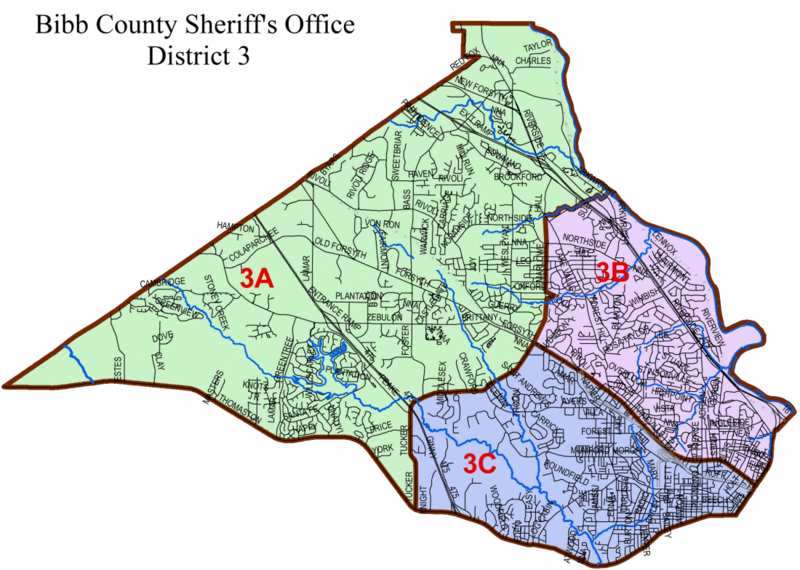 Click here to view a larger version of the District 4 map. 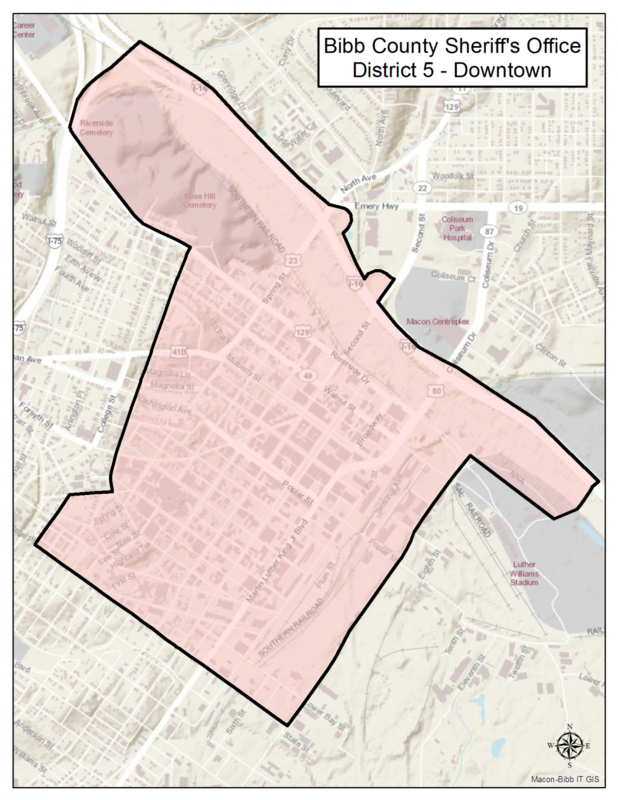 Click here to view a larger version of the Downtown District and overall Bibb County Districts map. 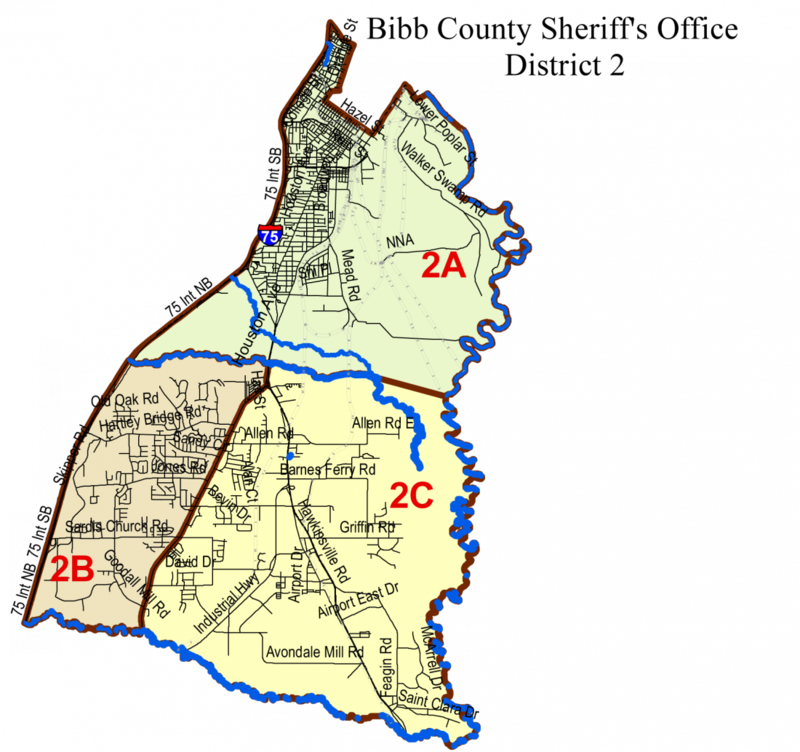 If at any time, you find that the information is outdated or an error has been made, please make sure you email and let us know!